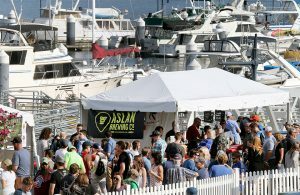 Rents are going up for covered moorage tenants at the Port Orchard Marina. Port of Bremerton commissioners approved a 5 percent rate hike for covered slips at their Tuesday meeting. Rents for the coveted spaces were below the industry standard, according to port staff. The adjustment will raise rent on a 36-foot slip from about $306 a month to about $321. Revenue from the 158 covered slips will increase by $12,325 a year. See the PDF below for a full breakdown. The increase takes effect June 1. Commissioners also approved increases to late fees for tenants across all port facilities. Late payments were a growing nuisance, according to port staff, who are tired of spending time collecting money from the same tardy tenants each month. Guest moorage fees at the Bremerton and Port Orchard marinas may be headed up for the first time in three years. 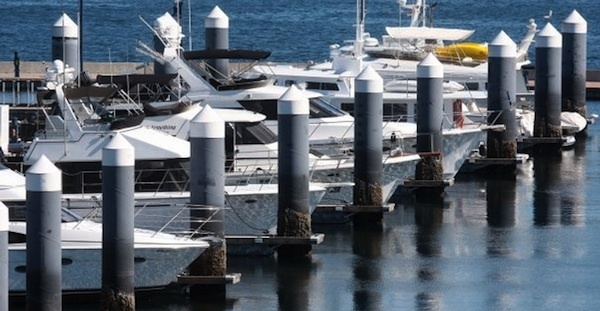 Port of Bremerton commissioners will vote Tuesday on 2014 marina tariff schedules that would increase guest moorage rates at both marinas. The current rate for guest finger slips and side ties is $30 per night, plus 75 cents for every foot of boat length over 40 feet. The new rate would be $36 per night, plus 90 cents for every foot of boat length over 40 feet. The staff proposal would also increase the monthly liveaboard fee at Port Orchard Marina to $75 and allow five more liveaboard tenants, bringing the total to 25. There is a waiting list for liveaboard slips. No increases to permanent moorage rates are proposed. A detailed breakdown of all the proposed changes is included in the meeting agenda. Taken together, the rate increases and new tenants would buoy the 2014 budget by an estimated $33,000. 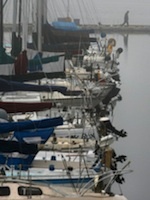 An update from the port’s marina marketing consultant is also on the Tuesday agenda. Many cities and counties in Washington will allow legalized marijuana businesses to set up shop in industrial parks.